CILS strives to encourage and mentor tomorrow’s Indian law attorneys by providing them with opportunities to serve our vital tribal communities. This year is no exception. CILS is happy to introduce our two summer law clerks and announce that both clerks were awarded prestigious Dan Bradley Summer Fellowships through the Legal Aid Association of California (LAAC). The Fellowship program is named in honor of the former President and San Francisco Regional Director of the federal Legal Services Corporation and provides clerks with the opportunity to consider a career in legal services and other public interest law while providing legal services with a new source of dedicated and energetic staff. Congratulations and welcome Emily and Lucy. Emily Zushi is a citizen of the Cherokee Nation of Oklahoma and a second-year student at UC Davis School of Law. Committed to serving local Native communities and hoping to practice Indian law in California, she is honored to be working for CILS. 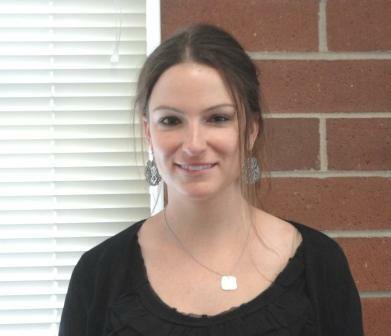 She is active in the local Cherokee community and is striving to learn the Cherokee language. She also speaks conversational Japanese at home with her husband, who was born and raised in Japan. Emily’s favorite hobby is singing. While she sings just about any genre, she is currently studying opera. Having grown up spending a lot of time with her grandmother, she also has a special love for the elderly and particularly enjoys volunteering with those in hospice. Originally hailing from Houston, TX, Lucy is a rising third-year student at Boston College (BC) Law School. At BC, she is an active member of the Native American Law Student Association and has spent two spring breaks in Arizona working for the Navajo Nation. Last summer, she returned to the southwest to work for the Department of the Interior in Albuquerque, where she refined both her legal writing and her green chili recipes. Lucy completed her undergraduate degree at Brown University and then spent two years working in the energy industry in France before repatriating and spending a year as a paralegal with Skadden, Arps in Boston. In her free time, she enjoys boxing, arguing about European soccer, and hiking with her adopted Pueblo pup, River. 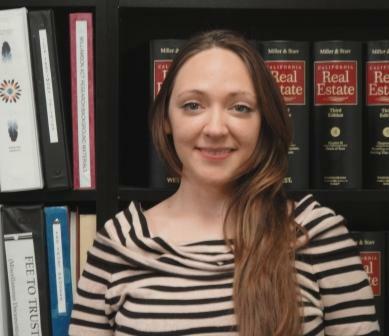 Staff Spotlight: Dorothy Alther, Esq. On April 20, 2012 the 9th Circuit Court of Appeals issued a decision in the Rincon Mushroom Farm of America (RMFA) v. Mazzetti et.al. finding that the Rincon Band of Luiseño Indians (Tribe) could not regulate the activities of RMFA, a non-Indian corporation who has fee lands within the Rincon Reservation. Because the Tribe was found to lack jurisdiction over RMFA, RMFA were not required to exhaust their tribal court or administrative remedies to determine the Tribe’s jurisdiction over it. For further details regarding the case see the attached letter from the Rincon Tribe to Tribal Leaders. The Rincon Tribe is requesting a rehearing of the case before a full panel of 9th Circuit Court of Appeals. The Pala Band of Mission Indians, and the Santa Ynez Band of Chumash Indians are preparing an amicus brief (“friend of the court”) supporting the Tribe’s request for a rehearing. 3. Tribes that have non-Indians that reside or visit their reservation. 2. Authorize CILS to sign the brief on behalf of the tribe. You do not need to be an existing client of CILS to authorize us to sign the brief your behalf. Attached: Rincon Request for Support – Letter from Chairman Bo Mazzetti re Why your Tribe should sign on to the Tribal Amici Brief in RMCA v Mazzetti and Amicus Brief Coordination Procedures. Please contact Dorothy Alther ( dalther@calindian.org) or Mark Vezzola ( mvezzola@calindian.org) or at 760-746-8941 or your local CILS office. Click here for a .pdf version of this Alert.